If you are planning a trip to Hawaii you may already be dreaming about white sandy beaches, delicious food and the chance to truly unwind and relax. Indeed, Hawaii has a lot to offer to its visitors, which is probably why so many people return year after year. If you have not already heard of Napali Coast, we highly recommend that you do your homework and research this stunning part of Hawaii before you visit. It most certainly is worth a place on your travel itinerary! 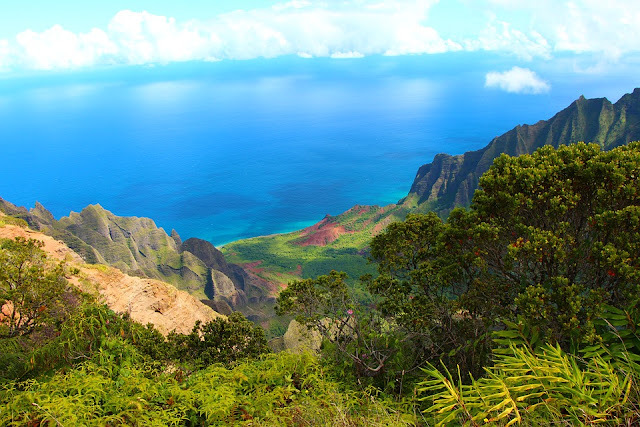 Allow us to indulge your curiosity by telling you a little about why you should visit Napali Coast. On this wonderful planet that we all get to call home there are places that are pretty, other posts that are appealing, however, there are few places that we could describe as having extraordinary natural beauty. Indeed, Napali Coast can be described in exactly this way. The emerald hued cliffs which boast sharp ridges are one of the most breath-taking backdrops for the Pacific Ocean, and this is only the tip of the iceberg when it comes to what makes this area truly and magnificently beautiful! A trip here will allow you to have your breath well and truly taken away by the stunning beaches and powerful waterfalls, all of which make their way to the lush valley floor. Some areas in the world which boast natural beauty have also be modernized and commercialized so much that they are hardly recognizable when compared to the way they used to be. Has this happened to Napali Coast? Of course, you should take a visit here yourself to make your own mind up, However, in our opinion, the rugged terrain is very much as it was many years ago when Hawaiian settlements were bustling in these narrow valleys. In fact, it was a time when the only food that existed was what the people could grow or catch. Indeed, that element has changed in more recent times, but you may find that the landscape and general feel has a throwback to bygone days. Certainly, a trip to Hawaii has the potential to provide you with wonderful memories that you will cherish for the rest of your life. Rather than take it by chance where you will visit and what you will do while visiting this stunning part of the world, we recommend that you take the time to research areas you would like to visit and then ensure that they make it to your agenda. Of all the wonderful places that Hawaii offers, we sure feel like Napali Coast deserves a special place on your hit list. With its extraordinary natural beauty, coupled with the feel of bygone days, it's one of those places that you are sure to dream about for a long time after you visit. In fact, it may very well see you coming back to Hawaii as a regular and cherished visitor year after year! Napali Coast is Kauai’s Best Adventure place, which is probably why so many people return year after year.